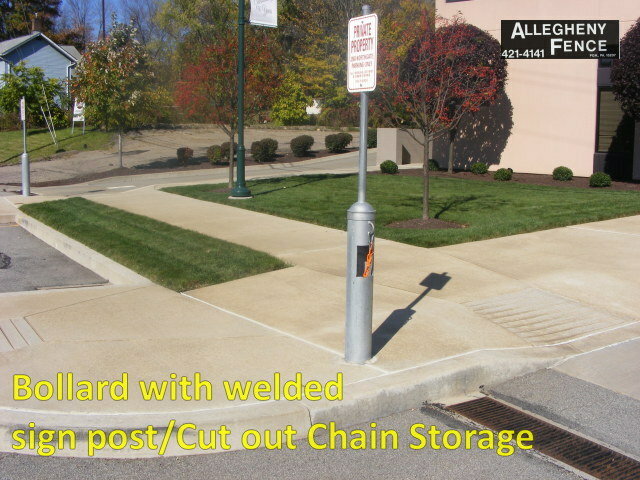 A bollard is a steel post, typically installed in commercial applications, to project pedestrians, gas tanks, generators, buildings and vehicles. 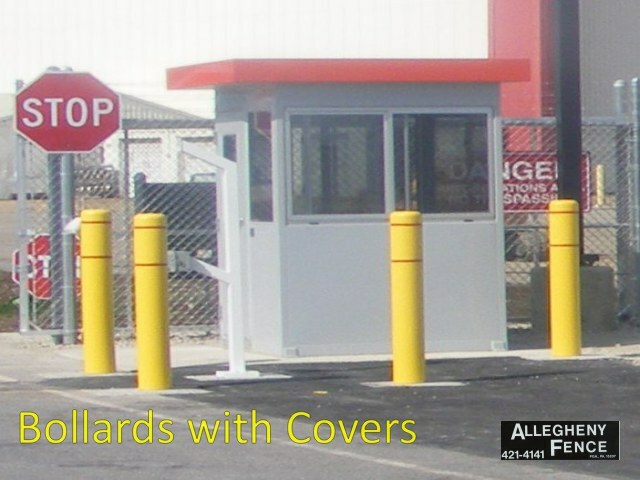 Every trip to the gas station includes a bollard in place to protect the gas pumps and the facility. 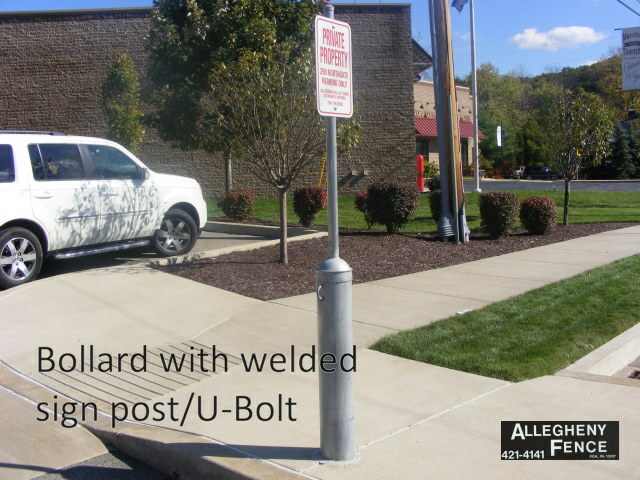 Steel posts installed offer protection for facilities and businesses. 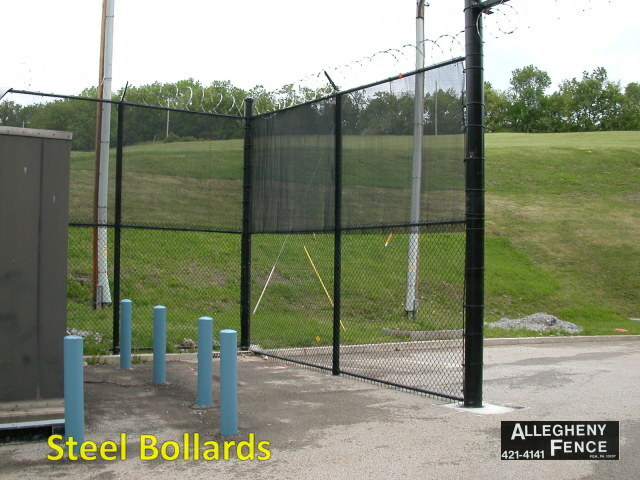 Not only does it minimize the impact of vehicular accidents, it offers a safety measure for pedestrians. 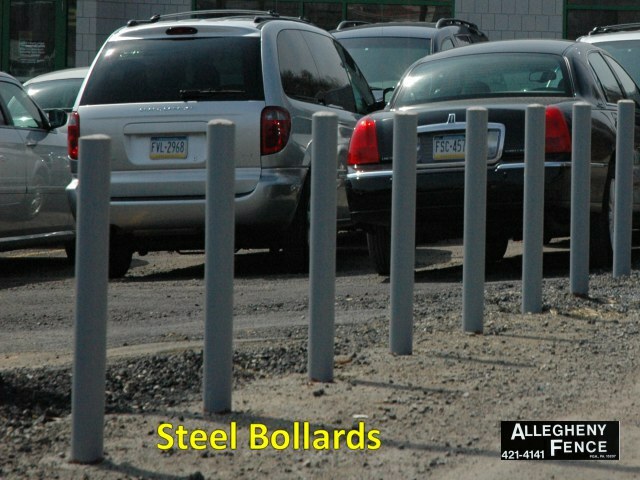 The cost of a bollard will be a substantial savings against a building that has steel posts offering a barrier. 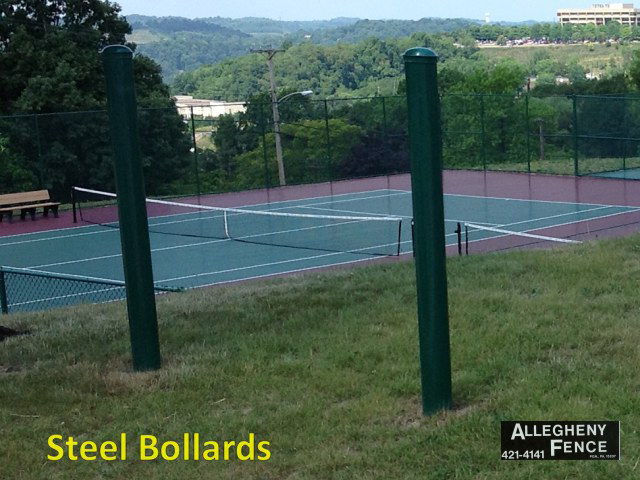 Typical Diameters are 2 7/8" 4" and 6 5/8" Available in Galvanized or Vinyl Coated finishes. 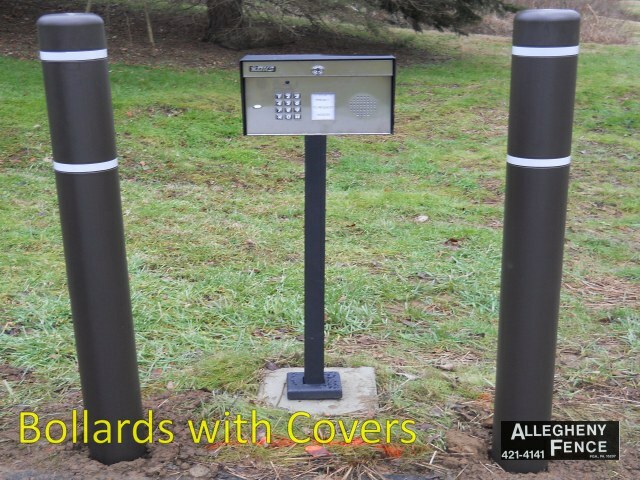 Galvanized posts can be painted or a plastic bollard cover is available to coordinate with the businesses color theme. 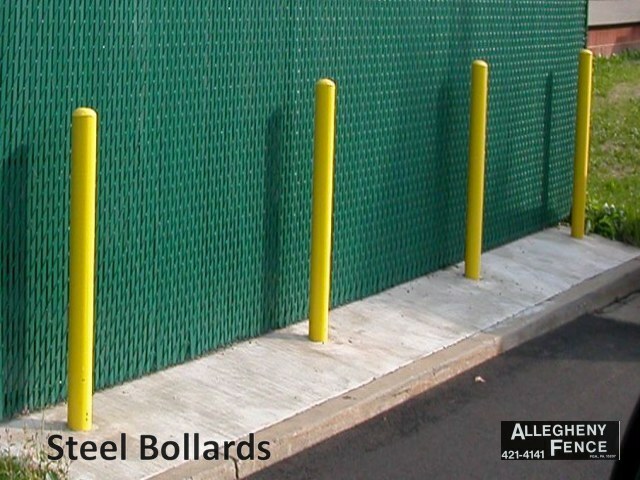 Plastic bollards offer weather protection which will eliminate the need for continued maintenance.